New Delhi: Despite several AIIMS departments facing shortage of nursing staff, around 100 nurses are instead working in the computer facility of the hospital, the resident doctors’ association (RDA) claimed. In a letter to the AIIMS Director, the RDA termed it as “gross misuse” of resources stating these nursing officers who draw a salary of around Rs 70,000 are doing a job for which one gets paid Rs 12,000-15,000. “It is quite strange that nursing officers who are not even specialised for computer operations have been deployed in the computer facility just to work as coordinators between users and engineers, a work which could have been done by data entry operators or computer operators,” AIIMS RDA president Dr Vijay Gurjar said in the letter. The RDA further sought a review of this decision citing paucity of nursing officers in various departments including in the emergency. 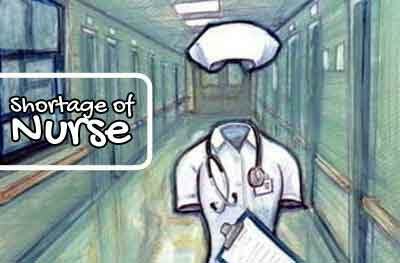 Ironically, the controversy comes on the occasion of International Nurses Day today which marks the contributions nurses make to society. Dr Deepak Agrawal, Chairman of Computerisation at AIIMS, said only 80 nurses out of 6,000 have been trained to act as an interface between health care workers and the IT team. “They have been primarily responsible for the success of the computerisation at AIIMS. This has been acknowledged by the ministry of health which has been pushing hospitals to create a similar cadre in their respective hospitals,” he said. He further said that these nurses who work as nursing informatics specialists provide training to the doctors and nurses on the various modules on computerisation in various departments and supervise to ensure successful implementation of the same. “They do not work as data entry operators nor do they enter any data into the systems themselves,” Dr Agrawal added.